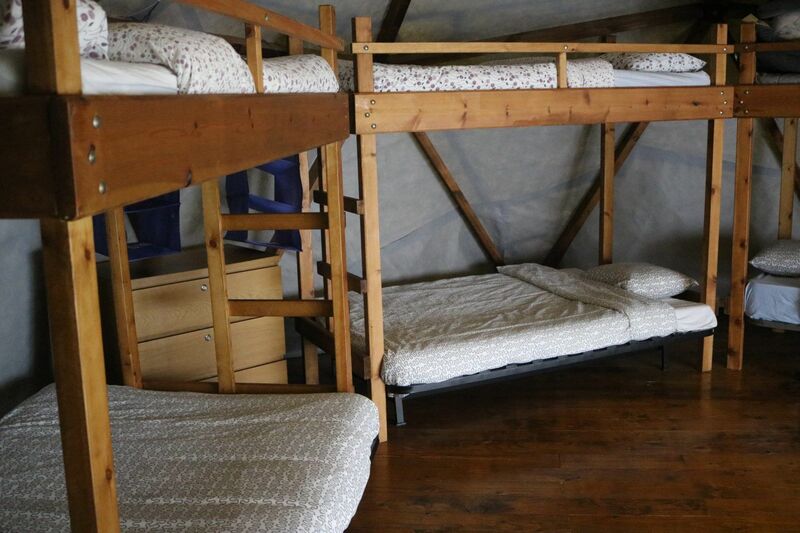 At Biosurfcamp we have different types of accommodation that respond to the needs of each of our guests. Their main characteristic is that they are all integrated into an ecological garden, one that we have been moulding with care over almost 30 years and from which the environmental impact is minimal. 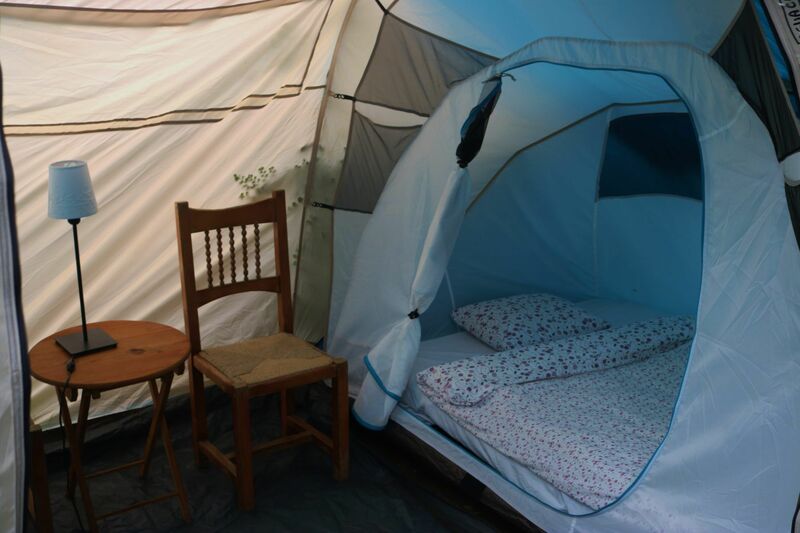 Our facilities are composed of shared dormitories, bungalows and deluxe tents. All accommodations have a complete set of beds (sheets, duvet, pillow and pillowcase), electrical power and storage space for suitcases. Our shared dormitory is the Domo. It is designed in an area of the camp completely surrounded by nature: palm tree, avocado tree, bamboo and khaki tree. 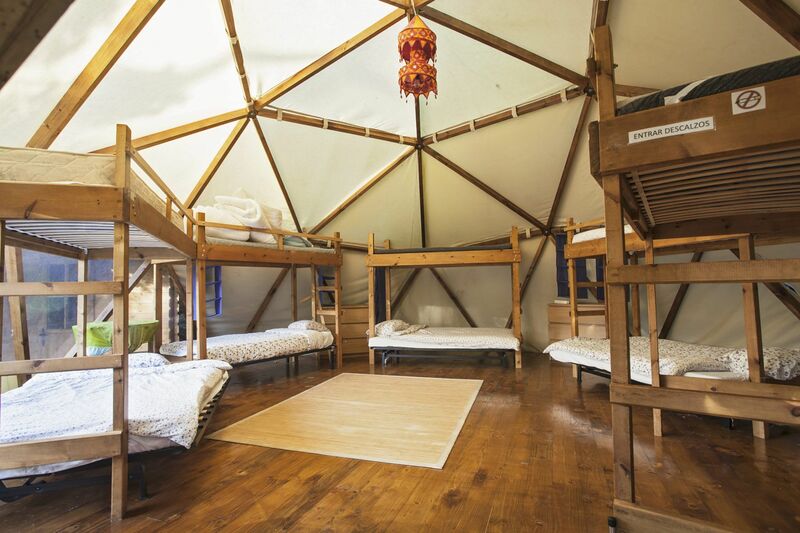 This shared dormitory is included in the basic price of the surf camp packages and in the accommodation packages in each of the seasons. To access, it is requested to collaborate in its orderly maintenance and take off your shoes before entering to keep it clean and hygienic. In addition, we clean it on a daily basis to maintain our quarters dirt-free. 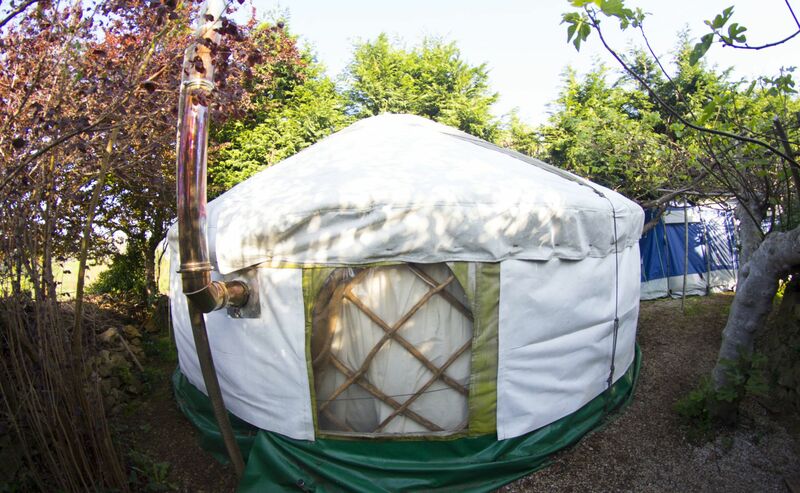 The deluxe tents are private rooms for 1 or 2 people. 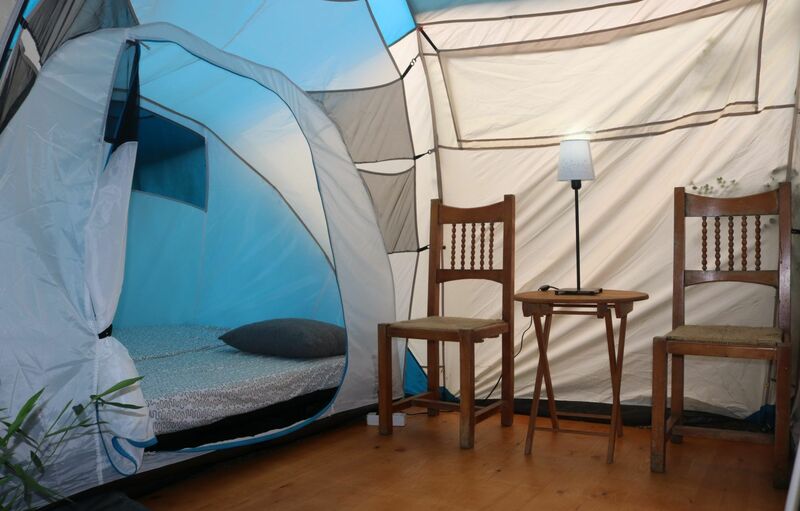 The tents are composed of a shared wooden hall that has a small table, a couple of chairs and are provided with electrical power as well as some electrical plugs. Inside this entrance there is also a space for suitcases and other objects of great volume. 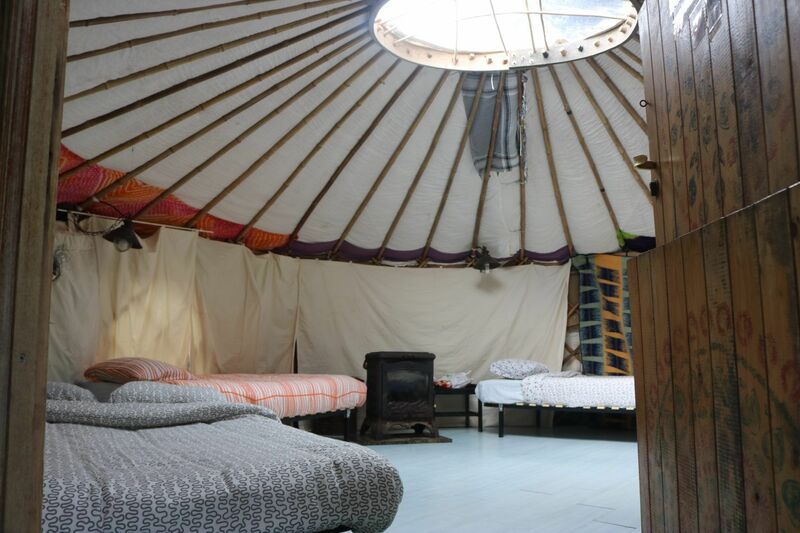 On both sides of it are the private rooms, which can have a double bed or two singles. The space of the rooms is limited to the bed, so the suitcases should be left in the enabled part of the hall. 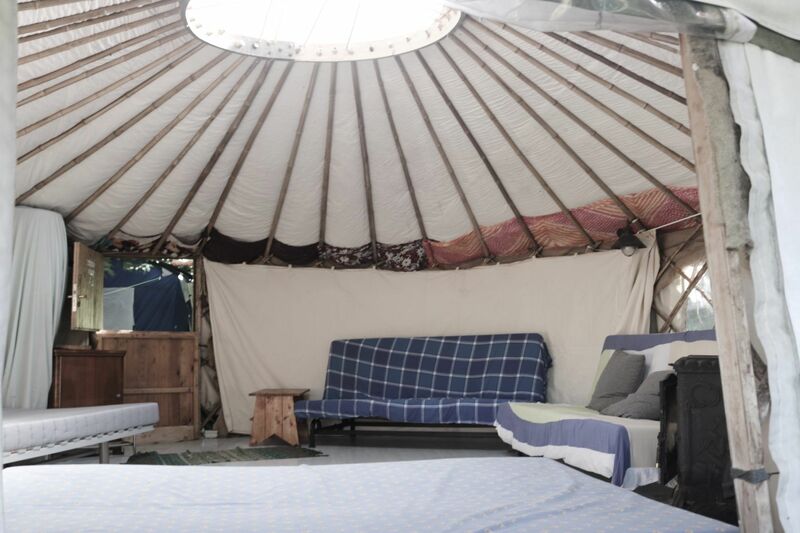 The price of the tents is 5€ additional per room and night (either single or double) with respect to the basic package in the shared accommodation. 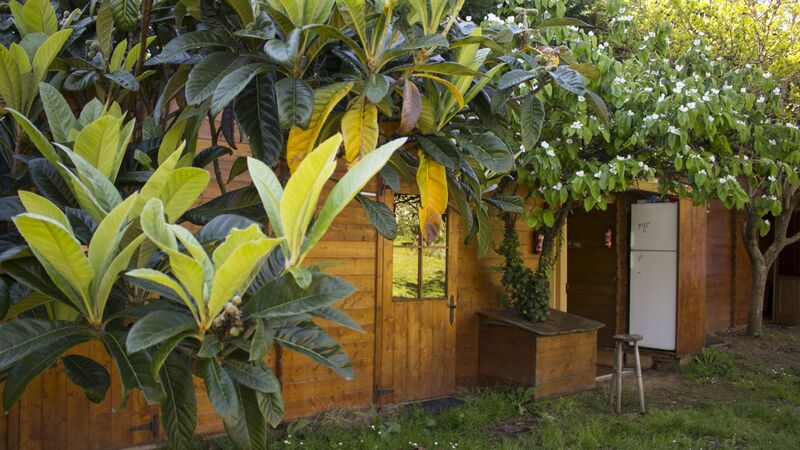 The bungalows are wooden buildings of 8 square meters designed for resting and relaxing. 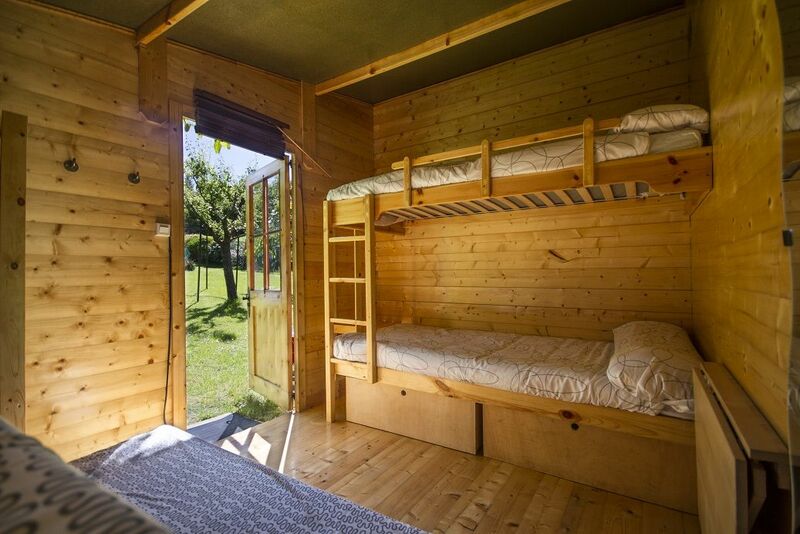 They have a double bed and two single bunk beds; their space is designed for up to 4 people, with limited space for suitcases. The Bungalows have drawers, a folding table, a mirror, clothes rack, light, electrical plugs and a key to lock it all up. 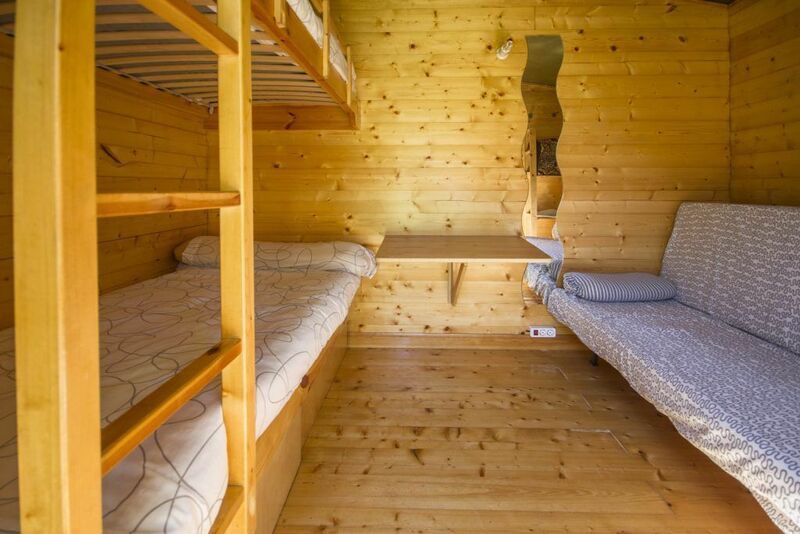 The price per night in the Bungalows, both for surfcamp packages and accommodation packages, is 5€, 7€ or 9€ additional per person per night compared to the basic package with shared dormitory (the price depends on whether it is for 4 , 3 or 2 people respectively).